How to roast a chicken conveniently? One day, I ran out of ideas how to marinate a whole chicken. I opened my fridge and found my bottle of Bulgogi sauce purchased from NTUC Finest. 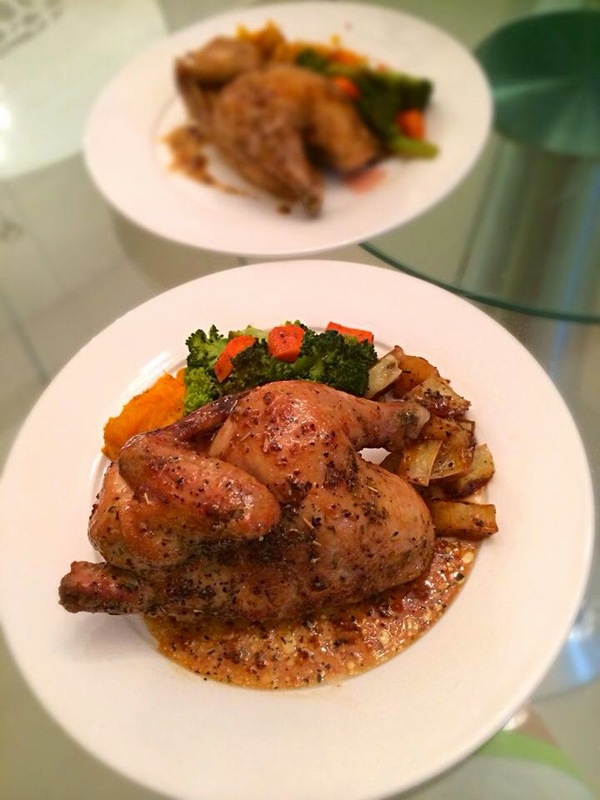 The flavours were awesome and agreed by C.
I used a microwave convectional oven and pressed roasted chicken option. If your chicken turns out pale looking, do not panic, just sprinkle some herbs over it and use a spoon to scoop the sauce and pour over the chicken to prevent the skin from cracking or drying up. 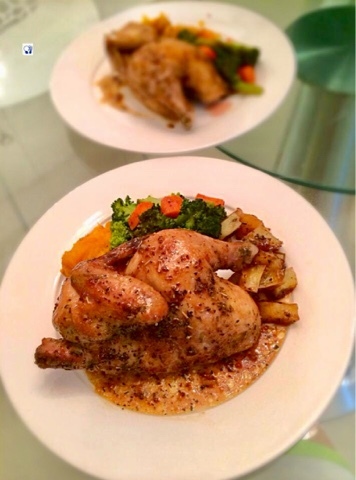 If you want your sides to be very delicious, roast them together with the chicken. The pumpkin, broccoli and potatoes would soak up the essence of the sauce. The downsides would be less sauce for your chicken. To strike a balance, take the vegetables out before the chicken. Healthy dish! To cook a whole chicken takes around an hour. Give yourself ample time if you are expecting guests!